If you’re in the game industry, you’ve probably been asked this question a few times over the last few years. I hear it the most from people outside of the game industry, to whom I feel a certain responsibility to include and inform in the most accurate way possible. So over time I’ve accumulated a series of answers that I share, as I don’t think it’s just one answer. Even though this isn’t exactly what I normally write about on this blog, I thought I’d share it here for both me and you to reference (and add to) in the future. Also, one thing I like to emphasize when someone asks me this question (particularly if they represent a form of media that doesn’t typically cover the tabletop game industry) is that it’s a matter of perspective. It’s possible that you just recently learned that tabletop games are popular, but if you talk to a lifelong gamer, they may feel like games have been popular for a long time. So if you’re asking this question, I would suggest that you seek data to support the inferred hypothesis that board games were significantly less popular at any given time than they are now. While sales data I’ve seen from icv2 suggests that the hobby game market is continuing to expand, I think it’s actually been quite big worldwide for at least 5 years, and for at least 5-10 years before that in Europe. What Is Behind the Rise in Popularity of Tabletop Games? I’ll try to list these roughly in terms of chronological impact. I think that Magic the Gathering, while being a tabletop game itself, has also had a positive impact on board games. It continues to be massively popular, and it’s been around for nearly 3 decades. Why Magic itself became and remains so popular is another topic in itself. There is multiplicative effect of generational/family gaming. That is, say there were 2 million gamers in the world 30 years ago. Many of them probably played games with their kids, so when their kids grow up, there are more likely to be gamers too (meanwhile, their parents may continue to play games too). Then they have kids…and so it goes. A few key games reached a critical mass around 10 years ago. I’m talking about games like Settlers of Catan and Ticket to Ride, which have sold many millions of copies. That critical mass is multiplicative –perhaps you get invited to random game night featuring one of those games and you have a good time, so you buy the game and host some other people, then some of them do the same. Most people don’t just play only Catan forever–they eventually start to explore other modern games too. Kickstarter has proliferated the spread of board games. In 2018, tabletop games raised $165 million on Kickstarter. Kickstarter is built for exposing projects to as many people as possible, including people who are new to board games. From the creator perspective, Kickstarter and Chinese manufacturing has greatly decreased the barrier to entry to become a game publisher. As a result, there are many, many more games—great games—available today than yesterday (or last month, last year, last decade, etc), with each new game potentially bringing new gamers into the hobby. Gaming culture as a whole is more social acceptable and widespread than ever before. I would bet that an overwhelming percentage of people play some type of game on a regular basis, whether it’s a mobile game on their phone, a fantasy sport, a real sport, a video game on a PC or console, escape rooms, or a tabletop game. The world is full of games now, and I think each type of game is a gateway into the other types of games. Social media makes it easier than ever to talk about games. This applies to any topic, of course, but I think the impact of social media on hobbies specifically is quite large. Imagine 25 years ago if you wanted to connect with people who had a shared interest with you about anything. Compare that to how easy it is to do that now. We have so much screen time in our lives now, and tabletop games provide a refreshing refuge from them. As indicated in the previous two points, screens can provide access to great content. But more than ever, I think it’s nice to have an excuse to turn off the screens for a while, whether you’re playing games with other people or solo. Game stores and game cafes create, grow, and sustain gaming communities. While game stores have been around for a long time, and they might cater more to existing gamers than new gamers, I can’t overlook the community aspect many of them are so good at. It’s easier than ever before to not leave your home if you don’t want to. This is at least partially due to services that come to you instead of requiring you to go to them (Amazon, Postmates, Netflix, etc). 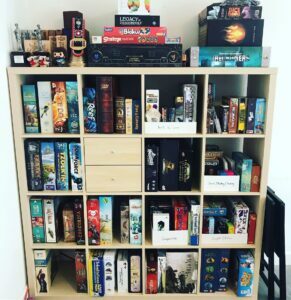 That may not be a good thing culturally or socially, but it does mean that people are looking for more activities to do at home, and board games are one of them. Related to this, I think tabletop games provide an incredible platform for introverts like me to share structured, quality time with other people. The rise of nerd culture crossover media. There are many types of nerds across many categories, and sometimes the right person or media comes along to create crossovers. An example of this is Wil Wheaton’s now-defunct Tabletop series on YouTube, which was watched by millions of people (some gamers, but at least some non-gamers that then crossed over and gave games a try). There are definitely some generalizations among these theories, but hopefully some truth too. In the end, they’re just my opinions, and I’d love to hear yours in the comments. Here are a few things people added in the comments: quality solo modes in games, improvement in presentation (art, graphic design, etc), Amazon’s recommendation algorithm, proliferation of party games (e.g., Cards Against Humanity), and going deeper into an existing IP (e.g., Star Wars, Game of Thrones, Exploding Kittens, etc). Also read this article from Brandon the Game Dev. Here here! It seems so obviously right when I read it all, but that was great insight on your part Jamey to identify it all. Thanks for sharing! I have several from a personal standpoint, but my biggest by far is diversity in themes. I am finding more games about things I’m interested in. Wingspan, Viticulture, Morels, and Pandemic are great examples of this that apply to me. “…and so it goes.” We’re you ever a Vonnegut reader? I’ve read some Vonnegut, though I don’t recall that specific line. What’s it from? It is definitely “Slaughterhouse-Five” though not quite the same significance that the line represents in the novel. You could probably add party games to #3. A party game like Coup or Love Letter could alert potential future gamers that such a market exists. A lot of the now older X generation probably naturally fell in to board games as they don’t have 60 hours any more to complete a video game just by themselves. A board game that ends in 1-3 hours that they can play with their partner and family is a blessing. That’s a great point about party games, even games like Cards Against Humanity. Stephen: That’s an interesting observation, that perhaps the younger generations won’t feel like they need a break from screens in the same way our generation does. I think there’s a large percent of the population that can get together with other people and just relax, chat, and socialize. The rest of us get together and then say “what do we do now?” As more introverts like me discover games as a way to socialize without the awkwardness of small talk, the hobby will continue to grow. … This. Exactly this. Ditto and etc. I love this list! Thanks Jamey! A big point for myself and the team I work with is that boardgames are a fantastic platform for world building. It’s a way of telling stories and creating themes that people can engage with directly. I believe this is why we are seeing larger studios utilizing it as a platform more often. Fans can directly engage with an IP in new ways, in more depth, in social settings offline, time and time again – unlike films, tv, books etc. Also, the budget and risk associated with developing a boardgame, whilst world building, can be much smaller than other platforms. The value of boardgames as a world building platform is becoming recognised and valued – from indie through to industry. It’s an exciting time! Thanks Nicola! I love worldbuilding in games too, and I like what you’re saying about how board games allow you to explore a world in a different way than watching the movie/TV show or reading the book. Another factor that may be overlooked is the power of Amazon. Over the years, I can remember scouring rummage sales, toy stores, and the random comic book store for new games, old games, and random games. But today, if I’m introduced to a game for the first time, such as CaH while in college, and I go to buy it on Amazon, suddenly there is a long list of other games that I may be interested in. These are oftentimes games I would have never discovered on my own. If I hear about Scythe, go to Amazon.com, look it up, I’m now given some crazy suggestions that I would have never thought about…Here Kitty Kitty, Saboteur, and Dues to mention just three. It can’t be overemphasized the impact Amazon’s algorithm has had on our buying habits. It works well with books and it has led to an explosion in the games category. Richard: That’s a keen observation about the power of Amazon’s recommendation algorithm! Wayne: I agree, the presentation of games has improved dramatically over the last decade. I’d say more than the art quality the structure of the games has improved vastly as well. Games as Monopoly and Risk may have dominated the field, but the endgame was often a boring slog, even worse for players that hit an early stumbling block. Agreed that the rise of board gaming’s popularity is an interesting phenomenon to observe, especially as a designer and publisher. Similar to you, I’ve struggled to explain/validate it with anything more than theories. While I’m not an expert or a research analyst, I wanted to chime in with my own experience. In short, your 10 theories resonate with me and overlap with many of the anecdotes that I answer with. However, for purposes of explaining why board games have grown, I find it useful to frame the question in terms of both the macro/mega trends and micro/specific trends to be sufficiently broad in the answer. So I’ll use your observations as evidence to illustrate. Enabling Technology — Underlying tech advances that digitally connects everything in our world has made it easier than ever to discover new things or people to play with. 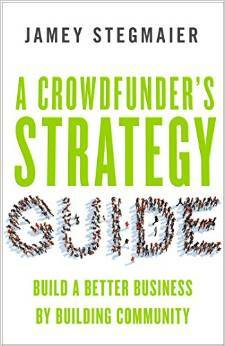 It’s also made it incredibly easier to create & finance new business ventures #4, #6, #9. You mentioned some relevant examples, but there are too many facets to this to enumerate here. Deliberate Downgrading — the proliferation of tech solutions has inundated and overwhelmed consumers, leading to a sociological trend/counterculture of customers who shed the bells and whistles in favor of simplicity and more organic experiences #7. Examples include things like the resurgence of sales of “dumb” phones or tractors, vinyl records, print books, or non-GMO. Empowering Inclusivity — the rising reevaluation of gender and individualism has shown society (and companies) can encourage the nonconforming and innovate with compassion, helping people to be who they want to be (geek or otherwise) #5, #10. Examples like #MeToo and other Anti-Bullying/Violence campaigns. The Legacy of Catan and MTG — More popular hobby games have now broached the generational threshold and hit a critical mass in terms of being a cultural phenomenon. These evergreen titles, along with other forms of increasingly popular media, will create a windfall of new participants in the industry, and the ability of game companies and game-related businesses to retain these customers and cross-sell them on other entertainment experiences will impact the growth our industry #1, #2, #3, #8. 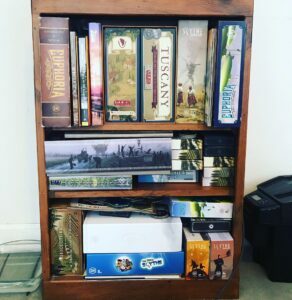 To summarize, I’d theorize that the growth of board games is primarily supported by the expanding, and increasingly diverse audience of gamers, who seek enriching entertainment experiences as a means to socialize while also unplugging from their hyper-connected lives. Businesses have helped to propagate this trend by re-examining the way board games are both played and created, ultimately cultivating a refreshing array of new game experiences that keep bringing gamers back for more. The proliferation of wildly successful digital games as well as popular neo-classic board games such as Catan and MTG have also provided inspiration for the industry by demonstrating how games can become pop-culture phenomenons and how companies can capture significant value as previously niche forms of media blend into the mainstream. This summarized conclusion and the list of trends above is likely not exhaustive, and I’m open to your thoughts on how it might be improved or revised so we can better capture the narrative of our industry’s growth. FWIW, I also found the book “Non-Obvious” by Rohit Bhargava particularly helpful for this type of framework thinking, so I wanted to reference here in case there is further interest. That’s really well said, Brett. I like your approach to this, and I appreciate the book recommendation. This is an excellent list! I would just emphasize the overlapping organic growth among several different trends as you listed to help explain the rise of board games. And one point in particular that I would emphasize is the rise of geek culture. To grossly oversimplify, the popularity of the Lord of the Rings Trilogy (and hard sci-fi like Asimov and Arthur C. Clarke) in the 60’s led to Dungeons & Dragons in the 1970’s which influenced the rise of computer games in the 80’s and 90’s which led to a generation of tech savvy geeks, writers, and filmmakers who invaded Hollywood to create CGI infused movies about superheroes, dragons, and other worlds in space. This rise of geek culture which influenced Hollywood then had the effect of influencing popular culture, and making “geek” culture mainstream. So comic books, RPG’s and (yes) board games have become culturally mainstream almost as a direct result of the mainstreaming of geek culture through Hollywood. Obviously, I’ve glossed over a lot of specific trends (rise of the internet, the backlash against technology to create analog experiences with friends, the low barrier to entry to manufacture new board games, etc. ), but this larger megatrend of geek culture becoming mainstream is such an overarching story about the evolution modern pop culture, and helps explain so much about why ‘geek’ activities like playing games as an adult is culturally acceptable in a way that it wasn’t 40 years ago. Michael: I absolutely agree with your assessment of the rise of geek culture (and I’ve very much enjoyed being part of it!). I love your list Jamey! One of the reoccurring themes on your list is that people have this desire to connect with other people. Whether that is generational, friends, co-workers, etc. We all have this desire to connect with others. The rise of social media has allowed us to “connect” with more people – but I feel it doesn’t fill the void of really connecting with someone where you have an experience together and share a memory. Some times making that connection is tough. For me, in many instances, a tabletop game essentially becomes a conversation piece – or that conversation starter. I may not know how to break the ice with someone to get a conversation started but teaching or playing a game with someone provides that opportunity to not only start a conversation but to continue a relationship in the future because of that shared experience I had with them. Mike: That’s a great point about our human desire to connect, and I love having board games as a default (yet enjoyable) conversation topic with many of the people I know and meet. I get asked this a lot as well – the answer I most often give (can’t remember where I first heard this) is that when splitscreen gaming died out, a lot of people wanted something to fill the gap. There’s something about gaming with other people in the same space as you; consoles used to do it, boardgames do now. All valid points but for me number 7 and 10 are triggers / door openers to which I can relate most. I’d add that game authors, distributors and publishers are also making it growing : every failure, every success brings its own values and intell. Publisher can now easily tell what they would change for their next reprint or redesign. The authors can easily pick-up the tendencies (thank you internet), and prepare the next steps of design. Distributors can tell you what may or may not sell. And you don’t want to mute them. Great list, Jamey! I would add there is also a stronger element of evangelism within the hobby than before. Think of how many lists are out there describing “Gateway Games” on websites, videos, and blogs. Besides being great games in their own right, more experienced gamers use them as tools specifically to bring people into the hobby. For my group it was the discovery of “euro” games in the early 2000’s. Our previous gaming was based around games that could take many hours if not days to play. I remember playing a game I think was called “Empires in Arms” for 2 years, playing all day every Sunday. As we got older we could only manage these marathon sessions a couple of times a year. Once we discovered games we could easily play on a work night we started a weekly game night that has been going strong since 2005. The advent of a genre of games that don’t require a huge investment in time and energy has a lot to do with the rise of the hobby. Great blog, lots of good points. As a person who classifies himself as a gamer, I’ve found boardgaming is a medium that respects creativity. As video games have increasingly had more formulaic design and the ability to innovate in that field has been restricted, I’ve spent more time tabletop gaming and less time video gaming. I just find more interesting designs and themes in boardgames these days. You mentioned the ability to communicate with one another about games as a key point .This also relates to marketing . With advertising occurring in pretty much every major social media application (FB, IG, Twitter, Reddit, etc), and of course on game sites such as BGG, the awareness of games and the ability to share them with target audiences has become easier and easier. I have run an after school board game club for over 10 years. Many of my students still come back and play from time to time. I am quite confident that when they become parents they will be buying games for their kids. I think the generational effect is a huge multiplier on all the other points. Thank you for inspiring the next generation of gamers! thanks for sharing this ! Do you mind if I translate this in French (keeping you as writer for sure + link to this page) ? Seeing a callback to Wil Wheaton’s Tabletop was a nice dose of nostalgia. That series in large part fueled my interest in the entire board gaming hobby. I miss it!